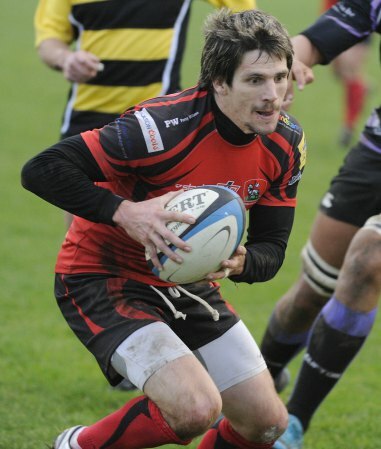 Former Cornish Pirate Rhodri McAtee has signed for National League 2 South Redruth for next season. McAtee who last season played for Plymouth Albion in the RFU Championship has signed for the Reds on a player/coach basis. McAtee has previously spent periods on loan at the Redruth club and has always thrilled the Redruth crowd with his pace and play. The Welsh Whippet is a crowd pleaser and his pace has brought Rugby World Cup 7’s honours with Wales. McAtee’s has been enjoying playing for Cornwall this month, being part of the team who defeated Hertfordshire to book a place at Twickenham on Sunday, but he won’t be joining the 12 other Redruth players at the headquarters of English rugby. A firm favourite at the Mennaye many Pirate supporters were sorry to see Rhodri depart the far south west at the end of last season. McAtee’s wealth of experience will be invaluable to the young Redruth backs as the side looks to build on last season’s encouraging fourth place finish in the league.